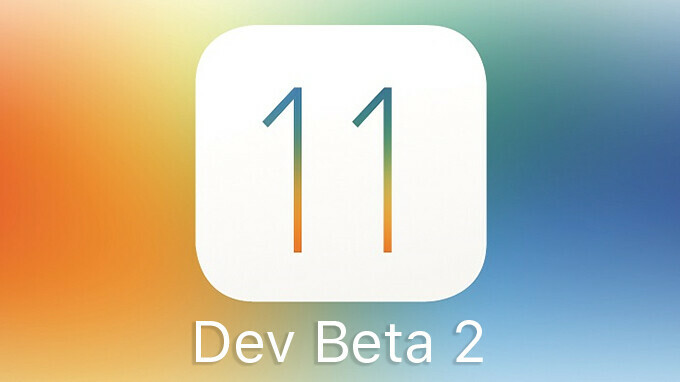 iOS 11 developer Beta 2 went live a few hours ago and, naturally, devoted Apple fans are rolling up their sleeves and digging right in. The update introduces a plethora of optimizations and bug fixes (as well as the inevitable emergence of new bugs), but also a few visible tweaks and additions to existing features. Here is a round-up of everything new that you'll likely notice on the latest developer preview of iOS 11. Keep in mind that more stuff is likely to pop up in the following days. Do Not Disturb While Driving - A new "Do Not Disturb While Driving" tab has been added to Settings. The feature will detect when your iPhone is in a vehicle and limit notifications while you're travelling. Incoming calls will be enabled if the handset is connected to a hands-free device or the vehicle's Bluetooth system. There are several options on how to enable DND while driving - you can turn it on manually, let the phone decide automatically, or it can be activated only when paired with the car's Bluetooth system. You can check out the feature by going to Settings -> Do Not Disturb. Selecting text from notifications - We're not sure whether this is an intended feature or a bug, but it looks like you can now select and copy text from notifications. Such a functionality can be useful in certain situations, so we hope that it will stay. Experimental Safari features - You now have the option to enable certain experimental features of Safari such as Link Preload, Constant Properties, Viewport Fit, WebGPU, and so on. Head to Settings -> Safari -> Advanced -> Experimental Features to see the complete list. Control Center - The Bluetooth toggle in Control Center will now disconnect you from a paired device, rather than turning off entirely (much like the Wi-Fi toggle). Also, the option to disable the "swipe up to open" function of Control Center while inside an app is now back. Head over to Settings -> Control Center to check it out. iPad Dock changes - You can now disable the "Show Recents" option which displays recently used apps on the iPad's Dock. With this feature off, the only apps that will appear there will be the ones you've added personally. The toggle can be found in Settings -> General -> Multitasking. Save to Files - There's a newly added option for saving documents, photos, and various other files straight to the new Files app. Lock Screen changes - More of a cosmetic change here - a new blurring effect can be seen when you're pulling down to see the Lock Screen. The effect fades out halfway through the animation. Thank you for the heads up Phonearena, I'll update it now on my iPad. One thing I wish they add now is access to the storage even through iTunes. When I'm at school if I don't have a flash drive I can just plug in my Android save it to the device and have it for later use. Now that there is files I hope we can copy documents between IOS device and PC even if the file format is limited. Cloud isn't as convenient for everyone.